Wes has been the Director of the Stanford Health Improvement Program since 1989. Before joining the Stanford Prevention Research Center, Wes was a tenured Associate Professor at Penn State University, and before that, he was an Assistant Professor at the University of New Mexico. He earned his Ph.D. at the University of Illinois. While at Stanford, Wes has served as the Chair of the California Cardiovascular Disease Prevention Coalition, an organization that promotes heart health through research, teaching, and advocacy. For twelve years he as served as the Chair of the Advisory Committee for the CDC chronic disease block grant funds that come to the California Department of Public Health. Twice, he served as the President of the South Bay Business Group on Health, a coalition comprised of large companies in Silicon Valley. The organization’s mission was to work collaboratively with medical groups and hospitals to manage costs while improving the quality of health care. Wes has served in leadership capacity on a variety of Boards of Directors, including the El Camino Hospital Board, a 520-bed non-profit community hospital. He served as Board Chair for two years and provided leadership as Chair of the Finance, Corporate Compliance, Executive Compensation, and Governance committees. 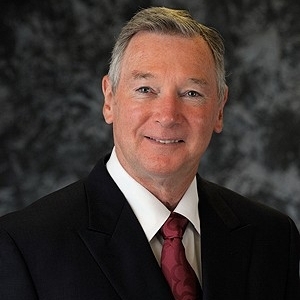 He was honored in being cited as a “Health Care Hero” by the Silicon Valley Business Journal for his work as Board Chair of the El Camino Hospital. Wes also has served on the Boards of a New Mexico HMO, a non-profit risk management company that insures District and non-profit hospitals in California and Hawaii. Most recently, he served on the Board of Directors of the Thomas Fogarty Institute for Innovation in Medicine. He also has served on local Boards of Directors for the American Heart Association, The American Cancer Society, the March of Dimes, and the American Red Cross. Wes served as Chair of the Luther Gulick Project and subsequently brought leadership to a wide variety of initiatives sponsored by the YMCA of the USA. The Gulick project was an IHI Breakthrough Collaborative focused on healthy lifestyle and behavior modification. He chaired a committee that developed a curriculum on prenatal healthy lifestyle for the national March of Dimes. He was a co-principal investigator and facilitator for the Meyer Friedman Institute’s ten-year (3,000 person) research study on Type A behavior with outcome measures being focused on diabetes, cancer, and myocardial infarctions. Wes received an award from the Stanford University School of Medicine for classroom teaching, advising and mentoring of Stanford students.